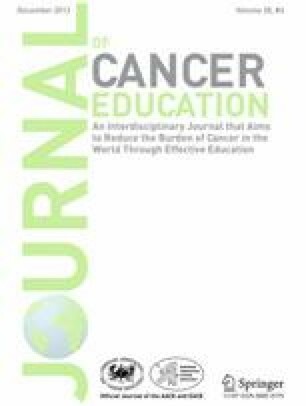 There is an extensive literature on the use of community-based outreach for breast health programs. While authors often report that outreach was conducted, there is rarely information provided on the effort required for outreach. This paper seeks to establish a template for the systematic evaluation of community-based outreach. We describe three types of outreach used by our project, explain our evaluation measures, present data on our outreach efforts, and demonstrate how these metrics can be used to inform a project’s decisions about which types of outreach are most effective. National Cancer Institute. (2013) Breast Cancer. http://www.cancer.gov/cancertopics/types/breast. Accessed 10 Jul 2013. Centers for Disease Control and Prevention. (2012) Breast Cancer. http://www.cdc.gov/cancer/breast/statistics/race.htm. Accessed 21 Mar 2012. US Preventive Services Task Force. Recommendations for adults: cancer. Rockville, MD: US Preventive Services Task Force; 2011. http://www.uspreventiveservicestaskforce.org/adultrec.htm. Accessed 17 Jan 2012.